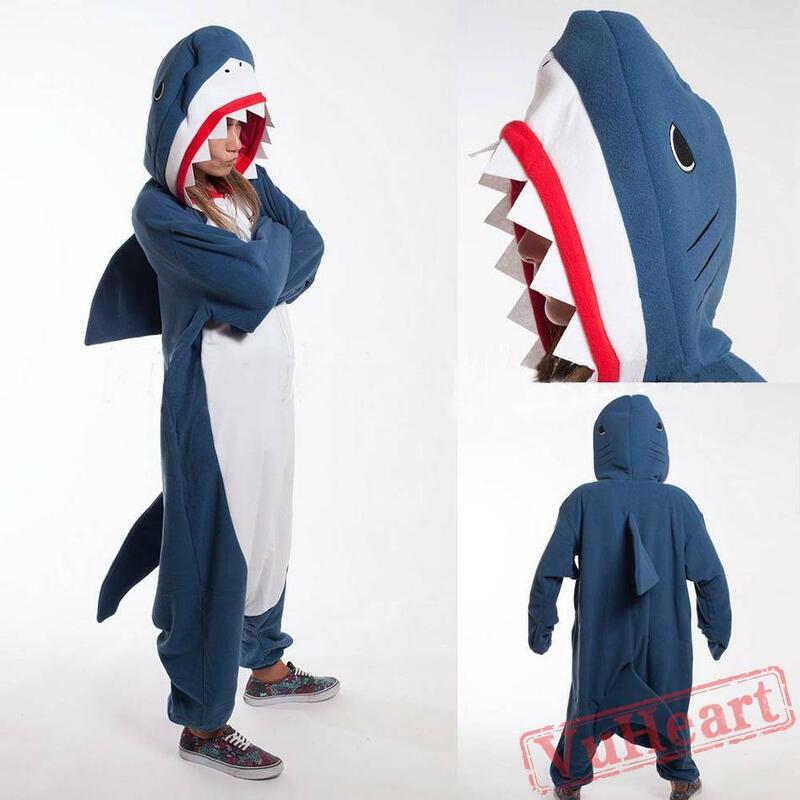 Whether you're on the hunt for a bold Halloween costume or simply want to bring some fun into your day, you'll love the look of this Generic Shark Union Suit. The one-piece design is easy to slip in and out of, while the lightweight material will keep you comfortable throughout the day. Keep the mouth of the shark zipped open to make the suit come alive or close it up when you want to add some mystery. 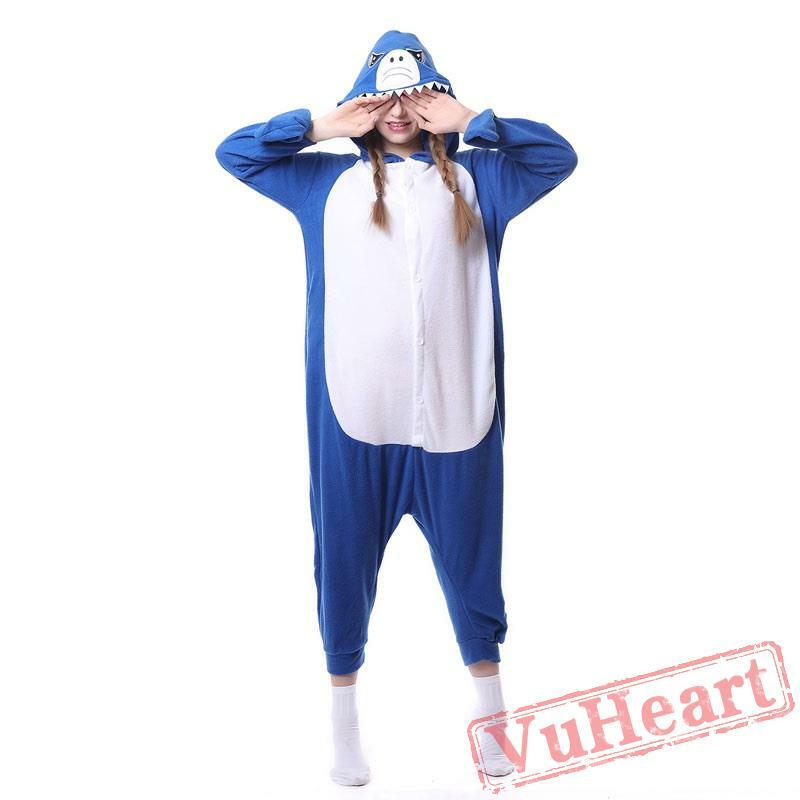 The Shark kigurumi! This is one dorsal fin that's adorable enough to draw people into the water, not scare them out of it. With a big, roomy hood that sort of makes you look like you've been shark bait and soft, cosy arm-fins, you'll both look and feel like somefin' real cute.